Home › Energy-Efficient LED Lighting › [15W 24Led] Spotlights Work Lights Outdoor Camping Lights Built-In Rechargeab..
[15W 24Led] Spotlights Work Lights Outdoor Camping Lights Built-In Rechargeab..
360 Rotating and waterproof durable outdoor spotlights to meet more requirements. Color:Black Hallomall 15W 24LED Work Lamp--Multi-function 1. Bright LED WorkLamp for Indoor Using High quality 24LEDS,bright enough to light up your wayeven if at the power cut night. 2. 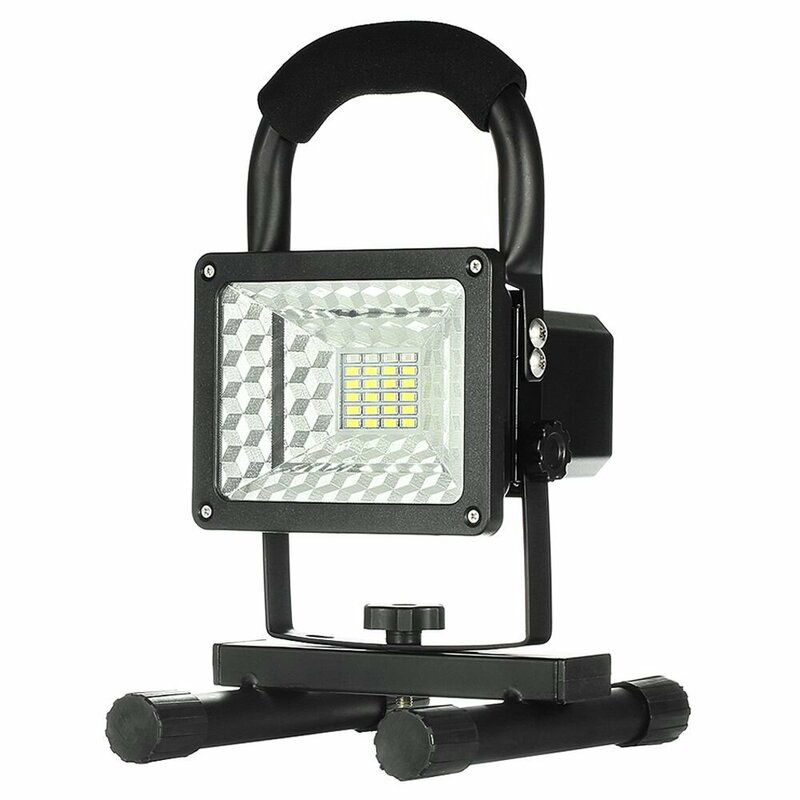 Portable and Durable Outdoor Work LampDurable Aluminum Alloy Shell and Waterproof, Lightweight easy to carry orhanging,the best led lights for fishing camping and other outdoor activities3. 2 USB Output Port--As a Power Bank Built-in Rechargeable Lithium Batteriesand with 2 USB Ports, could be used as a battery charger for mobile devices.4. Roadside Emergency Gear Upgrade with 4pcs flashing LED (Red and Blue), thebest gear for the roadside or other emergency situations. Specification:Power:15W Voltage: 110-240V Current: 1.6A LED:24pcs Color temperature: 6000KUSB Output: 5V 1A DC Input: 4.2V 350MAH Waterproof Level: IPX5 Mode switch: 23-Mode:High-Low-Strobe Worry-Free Warranty: 1.At Hallomall, we will alwaysstand behind our products within one year. 2.As to the Amazon Fulfillmentorder, if the order time is over one month and the return window is closed,please click the contact seller customer service for help by choosing â€œproductdetailsâ€ subject to request a replacement or a refund.